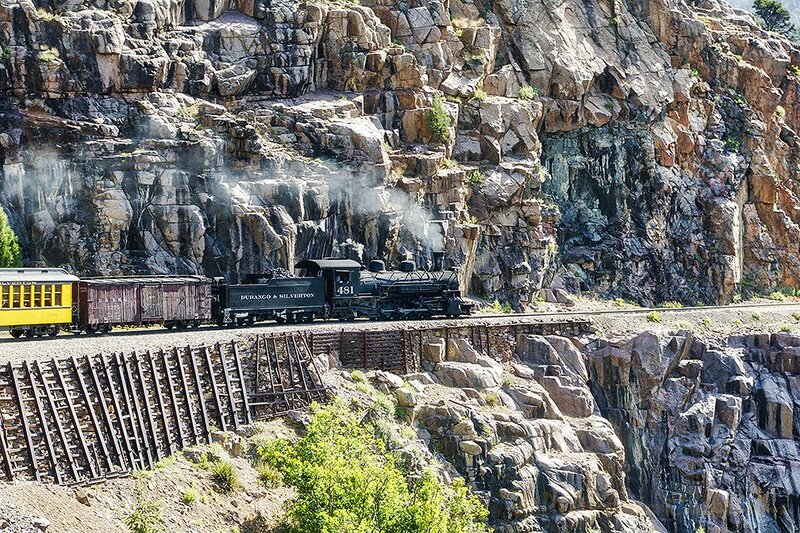 It's the first Steamy Sunday for the new year so I am sharing a highlight of the trip this past year to the Durango & Silverton Railway in Colorado. I took this shot from the train as we were moving along the famous High Line on the way to Silverton. At this point the train is only moving along at 5 mph due to the steep drop off to the Animas River below. The rock cut is quite beautiful in this area with all the colors.